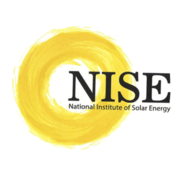 NISE Recruitment 2019 - Apply Online for 33 Scientific / Technical and Administrative Posts in NISE, Gurugram, Haryana on Regular Basis. Online Applications are invited by National Institute of Solar Energy from 01 Mar 2019 to 30 Apr 2019 till 05:30 PM for 33 vacancies. 01 Doctorate Degree in the relevant subject of Physics / Chemistry/ Renewable Energy/ Energy or Master’s Degree in Engineering / Technology in Mechanical / Electrical / Electronics/ Chemical from a recognized University or Institute. 02 i) Master’s degree in Physics / Chemistry / Renewable Energy / Energy .or Bachelor’s Degree in Engineering or Technology in Mechanical / Electrical / Electronics /Chemical from a recognized University or Institute. ii) Eight years’ specialized experience of Research & Development and Testing in R & D Organizations / Industrial / Academic Institutions. 06 i) Master’s degree in Physics / Chemistry / Renewable Energy / Energy or Bachelor’s Degree in Engineering or Technology in Mechanical / Electrical / Electronics /Chemical from a recognized University or Institute. 07 Master’s degree in Physics / Chemistry / Renewable Energy / Energy or Bachelor’s Degree in Engineering or Technology in Mechanical / Electrical / Electronics/Chemical from a recognized University or Institute. 04 i) Bachelor’s Degree in Science (PCM) or Bachelor’s Degree in Engineering / Technology in Mechanical / Electrical / Electronics from a recognized University. ii) Basic Operational computer knowledge. iii) Minimum 2 (two) years’ experience in Govt. / PSU / Autonomous Bodies / academic institution in the relevant areas in PB-2, 9300-34800+GP 4600 or equivalent. 08 i) Diploma in Engineering (Mechanical / Electrical / Electronics) or Bachelor’s Degree in Science (PCM) or Bachelor’s Degree in Engineering or Technology in Mechanical / Electrical / Electronics from a recognized University/Board/Institution. 01 i) Master’s degree from recognized University. ii) Operational computer knowledge of currently used software and packages of Office. iii) Five years’ experience in Govt./PSU/Autonomous Bodies in the relevant areas in PB-3, 15600- 39100+GP 6600 or equivalent in the corporate sector. 01` i) At least a good second class Bachelor’s degree in any discipline from a recognized university. ii) Excellent Operational computer knowledge of currently used software and packages for office. 03 (i) Bachelor’s degree in any discipline from a recognized university. (ii) Skill Test norms Dictation 10 mts. @ 120 w.p.m. Transcription: 50 mts. (English) 65 mts. (Hindi) on Computer. (iii) Operational computer knowledge of currently used software and packages for office. On the basis of Examination and Interview. Go to "Registration" & Register yourself.